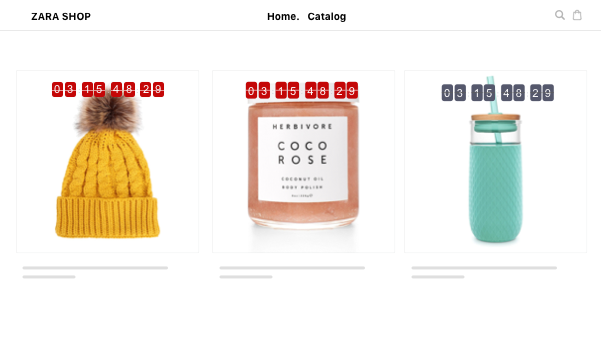 Create urgency & scarcity that drive sales for eCommerce stores. in just 1 free app. 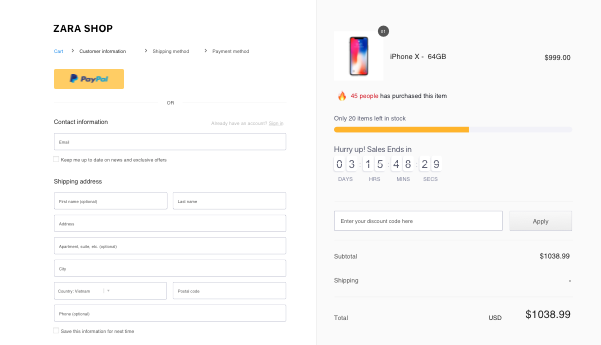 Show the limited quantity of products that are left in stock on your store to increase the perceived value of your products and encourage your customers to make instant purchases. Create urgency that motivates hesitating customers to buy as soon as possible to catch the juicy deals before time runs out. 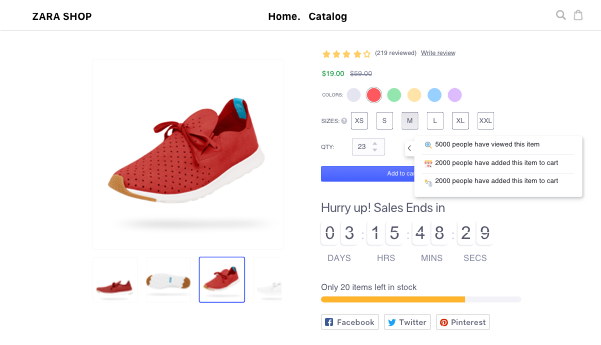 You can display sales countdown timers on specific product pages, collection pages, and even the homepage, so customers cannot neglect the offers that are getting timed out. Show, in real time, the number of visitors who have viewed or bought your products, and how many items were sold on your store. 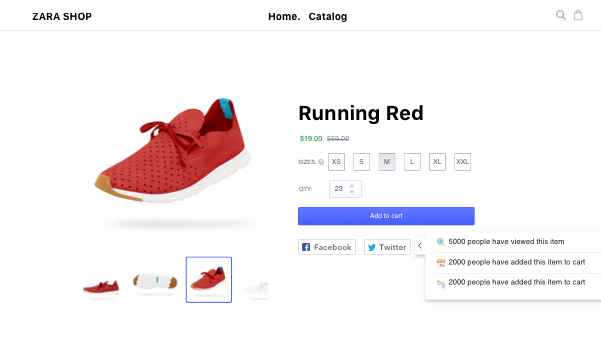 This feature highlights the popularity of your products, builds trust on your brand, and creates a positive influence on customers' confidence to buy. Online shoppers tend to delay completing orders, resulting in high cart abandonment that could make you lose up to 70% of your potential revenue. Countdown Cart helps you improve conversions by creating strong senses of urgency and scarcity on your online store. We provide a variety of free holiday themes from Halloween, BFCM, Christmas to New Year, etc. ,to help you decorate your store on special occasions and impress your customers. 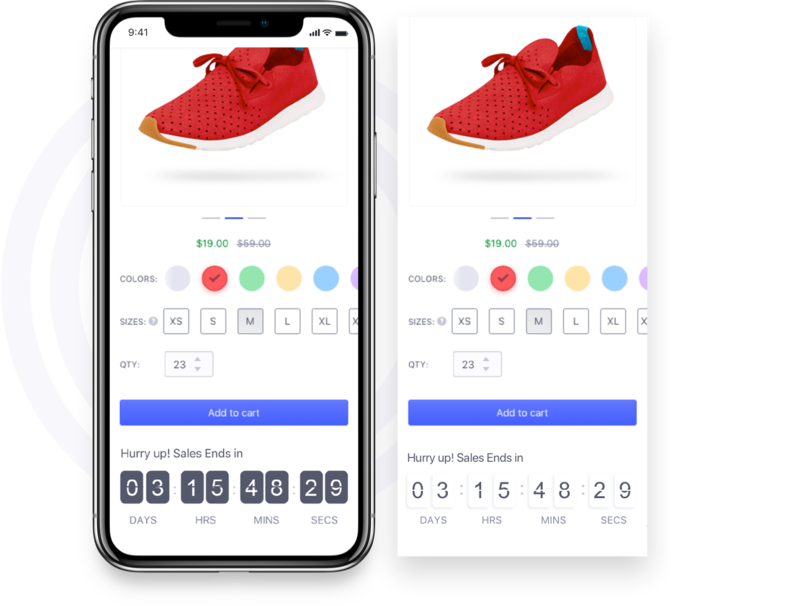 Regardless what devices your customers are coming from, Countdown Cart is responsive to all, from mobile, tablet, to desktop, to maximize their shopping experience. We've optimized UI/UX on both front-end and back-end of the app to make it the easiest and most hassle-free app for you to create social-proof notifications that convert. You get the highest control over how your widgets look on your storefront, with various options to customize messages, positions, display time, delay time, and other settings. "Great app for showing the customer that time is counted ! It boosted my sales a lot !" "Perfect app for increase urgency. Highly recommended." "Beeketing apps never fail. Thanks guys for creating such easy to use apps." "Solid App, definitively helps to give your product page the sense of urgency so your visitors can get enticed and feel compelled to take action. It is also very customizable in looks and appearance, you can display the widgets in many different variations." "Awesome. This app is very perfect to e-comerce."